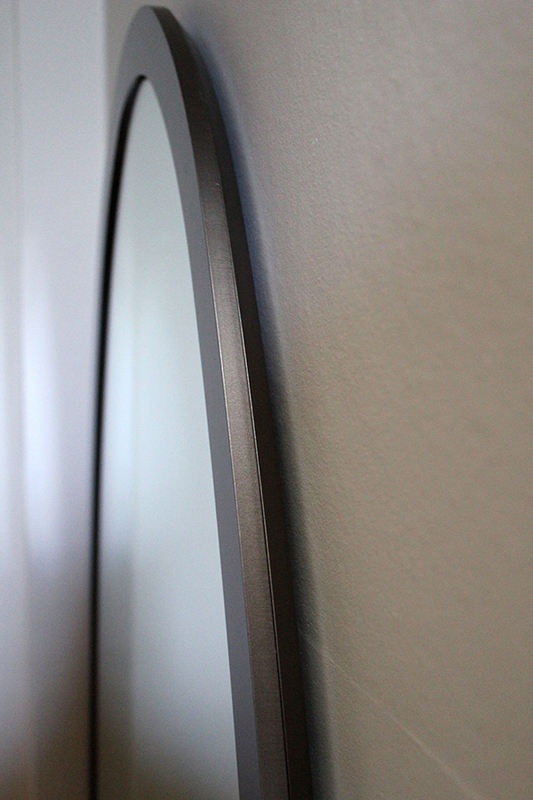 It’s a slim oval framed mirror. The one in these photos is made from mild steel and finished in a metallic paint. It can be made to suit any hall. 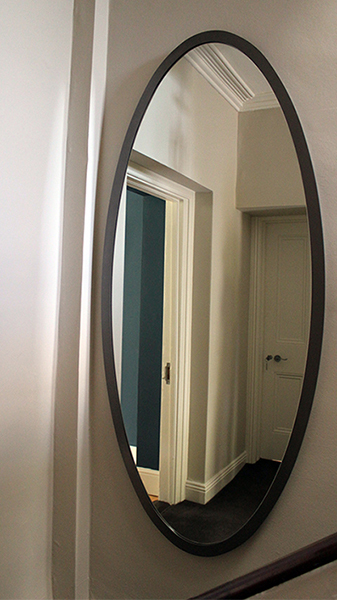 When a square or round mirror may not be an option, this mirror may be the one. Dimensions: 1600mm high and 400mm wide with a 40mm frame on 10mm steel.